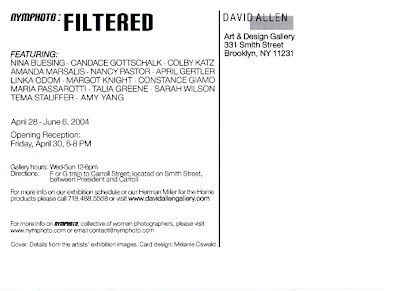 Four years ago Nymphoto's second show titled "Filtered" opened on Smith Street. 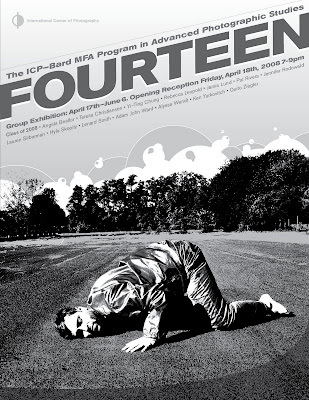 NYU/ICP graduate Sandra Bermudez multi media body of work from the past 5 years will be exhibited at Vivian Horan Fine Art starting May 8, 2008. Front St. and Mifflin St.
Winnipeg artist/ photographer Sarah Anne Johnson wins the inaugaral Grange Prize of $50,000 and plans to buy a small cabin in the woods near Lake Winnipeg. The Grange Prize is the largest given in Canada for photography. The New York Times published an interesting article about reemerging photographer Jill Freedman yesterday, titled "Through Wegee's Lens" written by Niko Koppel. The piece is accompanied by a slide show of Ms. Freedman's work from the 60's through the 80's -- shot in New York City. Amy Stein also muses about the article and Miss Freedman's work in her posting don't "Don't Call It a Comeback" --nice L.L. reference ;) -and how fragile a photographer's career can be, even if the artist has immense passion and talent. Also mark your calendars for the opening reception of Regarding Arcadia - Rural Viewpoints by Angela A'Court, James Isherwood and (Nymphoto's very own) Maria Passarotti. If you are in the Syracuse, NY area in the next month, don't forget to check out Jane Tam's BFA Thesis exhibit. and you can still purchase prints directly from Jane, via her store. If you are in Minneapolis on May 8, 2008 or in Seattle May 11 & 12, 2008 you can attend a National Geographic Live Event and see the work and hear about the life experiences of photographer and mother of two, Annie Griffits Belt. One of the first female staff photographers hired at National Geographic, Annie Griffiths Belt’s assignments have included stories about Jerusalem, the spectacular ancient ruins of Petra in Jordan, England’s Lake District, Lawrence of Arabia, and the Badlands region of South Dakota. When her children (daughter Lily and son Charlie) were born, she took them right along on her assignments, turning what some might see as an obstacle into an opportunity. “In some of these cultures, I’m a bizarre character—a woman from another world, traveling without a chaperone,” she explains. “The fact that I’m a mother provides common ground.” In a presentation based on her new National Geographic book, A Camera, Two Kids, and a Camel, Belt shares the secrets of her peripatetic life, and relates intimate moments and touching stories, along with her portfolio of emotionally rich photographs. 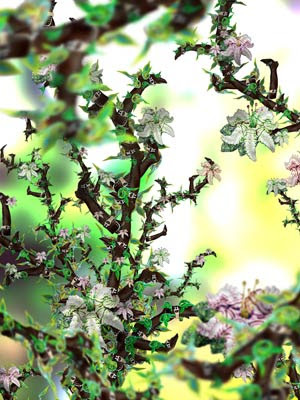 Hear Annie Griffiths Belt narrate a slide show of her work. While perusing the Magnum Blog I came across a posting from last year in regard to the Inge Morath Award. 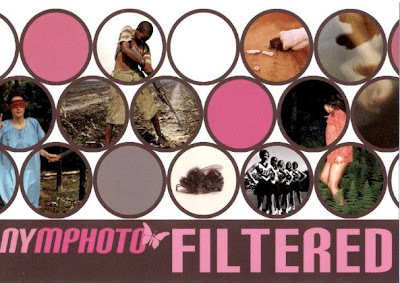 In this post from March 8, 2007 Magnum also linked to the Magnum mulitmedia essay Woman's Day. A discussion in the comments section ensued that examined the implication of singling out the contribution of women to photography. It is an interesting read and sheds some light on this complex issue, one that we have struggled with at Nymphoto as well: we do not like the idea of exclusivity per se and 'shutting out' one gender, on the other hand to us it is fact that women still face much bias and additional obstacles -- not just in photography - and thus Nymphoto hopes to address some of the issues and give support to its members (and female photographer in general). See the post & comments here. Read Filmmaker & Author Pia Frankenberg's interview with Magnum legends Elliott Erwitt and the late Burt Glinn on the Magum Blog. Sincere condolences to her family and friends. Sasha Wolf Gallery will show the work of Yola Monakhov, photographs taken over the last five years in Russia. Hours: Tuesday - Saturday, 11:00 to 6:00 PM and by appointment. The exhibition will open on Thursday, May 1st with a reception from 6 p.m. to 8 p.m.
Introduction to Collecting Photo Books- tonight! Aperture is pleased to announce an enlightening panel discussion dedicated to the first steps and the ins and outs of collecting photography books. The panelists will share thoughts to consider in building a collection and what makes particular books valuable. The discussion will gather various prominent experts on the subject including the publisher of Aperture’s book program, Lesley Martin, art book dealer Harper Levine of Harper’s Books, and Daile Kaplan, Vice President, Director of Photographs, Swann Galleries Inc.
James Danziger muses about Danica Patrick and the photographic portrayal(s) of her. James Hyman Gallery in London is showing a retrospective of the work of Linda MCartney through July 2008. Mostly known for her marriage to Paul McCartney, her vegge meals and her daughter Stella McCartney, Linda McCartney however was originally (and remained) a photographer. An observer more than a creator, she captured the life around her. To me her most compelling imagery is that of her family. There is an image of a young Paul McCartney somewhere on a farm in England , with children and an animal running around that is iconic in its hippy idealism. Read the This is London review by Louise Jury and The Telegraph's written by Alastair Sooke. Remain in Light (edited by Shane Lavalette & Karly Wildenhaus) has announced which artists it will feature in Vol.1. Among the list of 20 photographers are the very talented Anne Lass and the innovative Estelle Hanania. Take a look at the whole list of artists - many great 'finds' and talents to watch. The Photographic Resource Center at Boston University is hosting a Tina Barney lecture tonight. "Join Tina Barney for a stimulating discussion of her highly influential and groundbreaking photography. Barney first came into prominence in the early 1980s for her ongoing project documenting the affluent lives of her family and close friends. However, it was her decision to partly construct what would otherwise be purely candid and personal moments that has also proven to be the artist's legacy and lasting influence. By infusing her work with both a candid and staged aesthetic, Barney is able to emphasize the psychological distance between and gestures of her subject as seen in her monographs Friends and Relations and Theater of Manners: Tina Barney. The artist has since gone on to other prominent bodies of work such as The Europeans and has most recently turned her attention to families and subjects living in China." An exhibition of photographs by Victoria Sambunaris that explore the intersection of civilization, geology and natural history particular to the United States. Ardine Nelson was selected as a 2008 Guggenheim Fellow in the photography category - she is the only woman photographer selected this year. Among the photographs displayed in this show will be a new collection of images by Mexican photographer Graciela Iturbide of Kahlo’s private bathroom at the Casa Azul and its contents, which were sealed until fifty years after her death. When: April 23, 12:30 to 2:30 p.m.
Amy Stein's work will be exhibited at Pool Gallery in Berlin. When: April 26 to May 24, 2008. Opening reception Friday April 25, 2008 7 - 11p.m. In addition to the Photgraphy Now 2008 show at CPW, Cornelia Hediger is showing her Doppelgänger series. I was in the neighborhood on Saturday, which turned out to be gorgeous Spring day. Woodstock was buzzing with energy and the opening was packed with people, there was also a book signing event taking place at the same time. CPW also has workshops and lectures, check out their 2008 schedule. James Danziger posted about Ruth Ansel last week and shared images of Ms. Ansel's home -- giving an insight into how this legendary creative functions. Ruth Ansel is the woman behind the design & art direction of some of the greatest photography books & editorials and has collaborated countless times with photography's greats. Art does not exist in a vacuum and is not produced in a vacuum, so I also wanted to 'salute' Ruth Ansel perhaps not as a woman photographer, but as a a woman in photography. 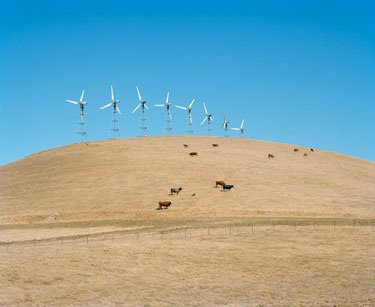 Regan Avery's work can be seen in the Photography Now 2008 show juried By Darren Ching of PDN and Klompching. 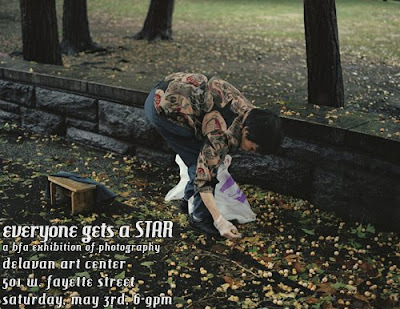 The opening reception is tonight at The Center for Photography at Woodstock on Tinker Street. 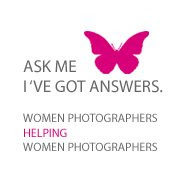 Heather Morton blogs about"Motherhood & Photography" . Jane Tam is not a "gallerina"
Jane Tam just wrote a long piece of personal reaction to the whole gallerina discussion on her blog. While Rosy is not a photographer, I found her paintings magnificently beautiful and compelling. I highly recommend you check out the show before it closes. Rosy is a friend of a friend, and a Mom. This is Rosy's first solo show in New York. Photographer Lynsey Addario talks about her work in general and particularly about her ongoing photographic work documenting the crisis in Dafur. Joyce Tenneson: A Life in Photography 1968-2008 Joyce Tenneson is one of the leading photographers of her generation. Her work is published regularly in magazines worldwide, including Time, LIFE, Esquire, Newsweek, and The New York Times Magazine. She is the author of ten books, including the bestselling Wise Women. Through her workshops and lectures, Tenneson has made a tremendous impact on thousands of professional and amateur photographers. This is the first retrospective overview of Tenneson's thirty years in photography, showcasing her best work from the series Flower Portraits, Light Warriors, Illuminations, Wise Women, Amazing Men, and Intimacy, as well as unknown early photographs, self-portraits, and writings. Tenneson's portraits go beyond a surface recording of her subjects' likenesses. Her signature images -- studio portraits that wrap the sitter in an ethereal glow -- attempt to show the inner person behind the facade. "I want to allow others to reveal and celebrate aspects of themselves that are usually hidden," Tenneson has said. Joyce Tenneson: A Life in Photography 1968-2008 will be an illuminating walk through the life and work of a unique talent in contemporary photography.This title is due April 2008.Joyce Tenneson will be at ICP for a book signing on April 11th. Cara Phillips blogged back in February about her desire for more female mentorship & inspiration, and she compiled a list of relevant women photographers. It's well worth a look because somehow a lot of these artists are indeed often overlooked. 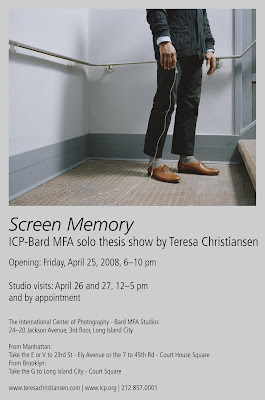 Teresa Christiansen who is a MFA student in the ICP-Bard Program sent these invites in. "What's a Lady to do?" Via Conscientious, there is a growing discussion on last week's NYTimes Gallerina article. Cara Phillips and Liz Kuball weigh in. What Remains: The Life and Work of Sally Mann an extended documentary by Steven Cantor will be released on DVD on April 22, 2008. Brooklyn based powerHouse Books is set to Publish Rachel Papo's acclaimed Serial No. 3817131 series this Spring. The series depicts young women serving their mandatory military service in Israel. Cool Hunting has a great interview with Brooklyn based artist Lori Nix. You get a peek into how she creates her magnificently fake landscapes. "Gatekeepers to the Art World"
Read about the "gallerinas" who are the "Gatekeepers to the Art World." 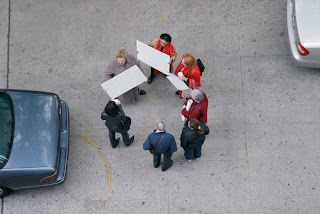 The Year in Pictures is an interesting blog (primarily) about photography by James Danziger, of Danziger Projects.